Picking the right estate plan is one of the most important decisions a person will make because the ramifications extend far beyond the life of the creator. 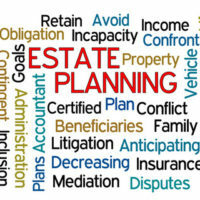 Trusts are one of the most common forms of estate planning used due to the flexibility and advantages they offer. There are two basic categories of trusts: revocable and irrevocable. Revocable trusts, more commonly known as living trusts, allow the creator to retain control of the assets until he/she dies. Specifically, the creator has full authority to put in and take out property in the trust as desired or necessary. Irrevocable trusts require the creator to relinquish control of trust assets to a third party, a trustee, and thus, out of the creator’s estate for tax purposes. In addition, any income generated by trust property is also exempt from the creator’s annual income and estate at the end of the creator’s life. Beyond these basic forms, there are a number of other trust options that are appropriate in various situations. A discussion of several other less-known, but very useful, types of trusts will follow below. If the payment of estate taxes is a concern, a generation-skipping trust may be a good option. This trust transfers trust assets to the creator’s grandchildren, instead of his/her children, thereby avoiding estate taxes that would be owed if the children directly inherited. Spendthrift trusts are typically used when the trust creator is concerned with protecting the long-term welfare of the beneficiaries, which is accomplished by controlling how much and when the beneficiaries gain full access to the trust. This concern is particularly at issue when the beneficiaries are the creator’s children, or other party, who cannot control spending. An independent third party trustee is granted full control over trust management, but the trust usually mandates the trustee to pay beneficiaries trust proceeds at set times. Importantly, this kind of trust is protected from creditor claims. Supplemental needs trusts are necessary when there is a family member that has physical or mental impairments that require special care. These trusts hold assets on behalf of the individual with special needs to supplement the costs of care not covered by government benefits. There are income caps on the receipt of government benefits; if the person directly owned the property in the trust, he/she would likely be disqualified. This arrangement is particularly useful if the disabled individual received a settlement or jury award from a personal injury lawsuit. Discretionary trusts have no fixed beneficiaries because listed beneficiaries only have the possibility of receiving a payout, and are not entitled to receive anything. The trust instrument itself includes the terms of how the trust should be administered. These trusts are commonly used to protect assets owned by a family, and give the trustee discretion on trust management and when to distribute interest or proceeds from the sale of trust assets to the beneficiaries. These trusts serve as good options for asset protection because creditors cannot gain legal rights over any potential distributions. A Qualified Terminable Interest Property (QTIP) trust is another vehicle for asset protection used to provide for a surviving spouse without relinquishing control over the property. This type of trust is especially useful in second marriages because it limits the surviving spouse’s rights in the deceased spouse’s property to interest income produced by trust assets, and does not grant full ownership rights. Typically, the final beneficiary when both spouses die are children from the trust creator’s first marriage. Lots of options exist for estate planning, and an experienced trust and estates attorney can advise on the type that best meets your needs and purposes. The Tampa law firm of Bubley & Bubley, P.A. will provide you with a comprehensive estate plan that will address providing for your heirs as well as protecting your assets and financial/health interests during life. Contact us for a free consultation.